Lempuyang Temple is one of the best temples to visiting Bali. 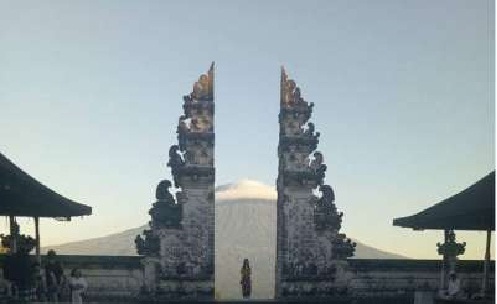 It was on the Bali bucket list as we found stunning photos of the picturesque Hindu temple with Mount Agung in the background. We had to see it for ourselves. Lempuyang Temple is an older temple in East Bali and located on Mount Lempuyang. There are a total of seven temples in this complex yet everyone tends to go to the first one, the “Gateway to Heaven.” We can see why as you’re high up on the mountain overlooking the area. 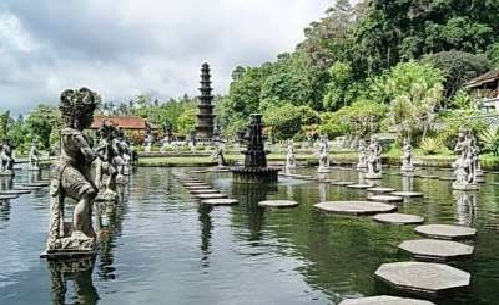 Tirta Gangga Water Palace is one of the most popular Bali Places of Interest designed and constructed in 1948 by Anak Agung Anglurah Ketut Karangasem (1887 - 1966), who was the last king of Karangasem.The gardens of Tirta Gangga Water Palace show a unique mix of Balinese and Chinese architecture. The grounds of the water garden (ca 1.2 ha.) consists of three separate complexes each with ponds and many sculptures. The complex on the lowest level has two large ponds and a water tower. 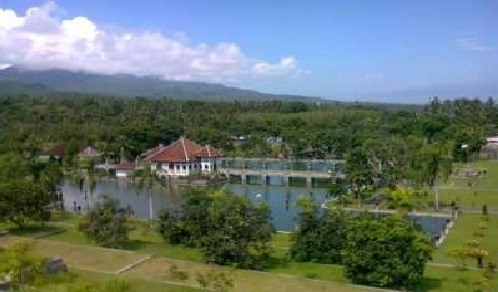 At the second complex (middle level) of the Bali water palace are the swimming pools. The third level houses the main complex with the country home of the former king.